Curiosity abounds on this one. 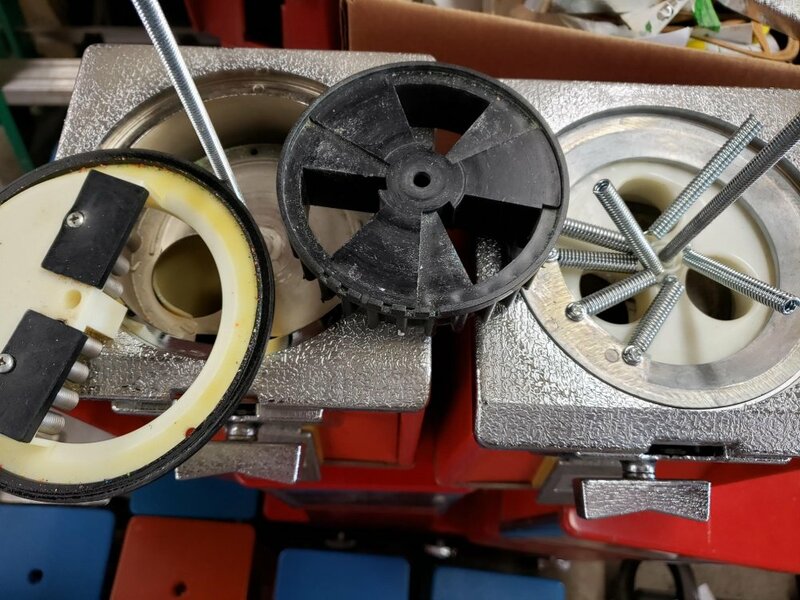 I cant find any numbers anywhere on any of the parts. One of the glass globes was replaced with a NW Glass globe the other is generic. If anyone has information I would love to hear it. -The Lid, Hopper, Chute Door and Base are all plastic. Chute door has two washers on the back to make weight. 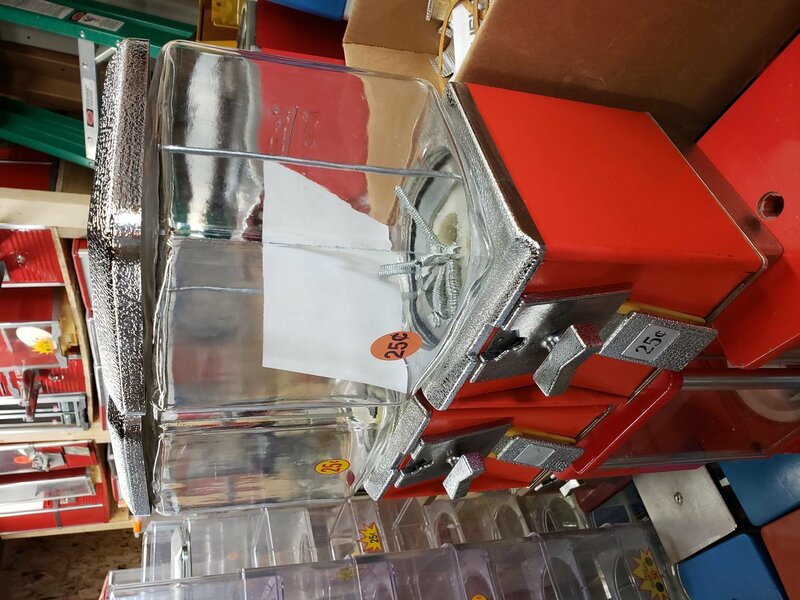 -Coin Mech, Chute and Chute Cover are all really good copies or have been replaced. 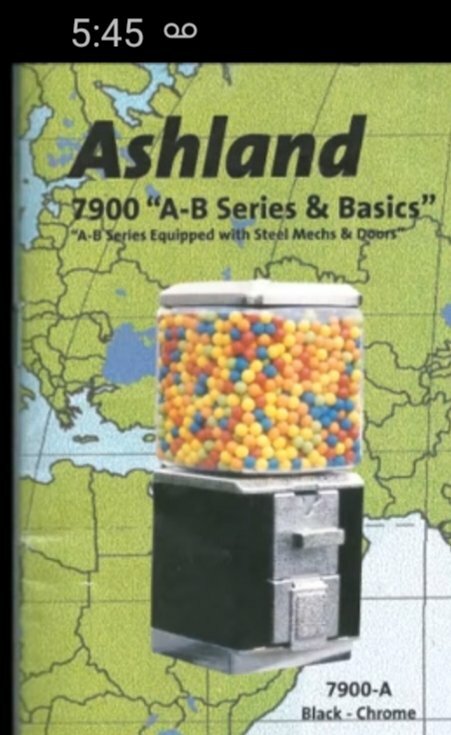 Found an Ashland catalog from 2004 on YouTube. Chute is different but description matches, thanks orsd. Look's like Ashland, I bought a small route of the Ashland's, the hopper from a Northwestern with wouldn't vend with Ashland mech. Their ok, I tossed them out mainly because plastic globes we're faded bad. At a glance, I'd agree on Ahsland though I didn't think they made anything with metal or glass in them at all. I've only ever seen the plastic ones out in the wild. 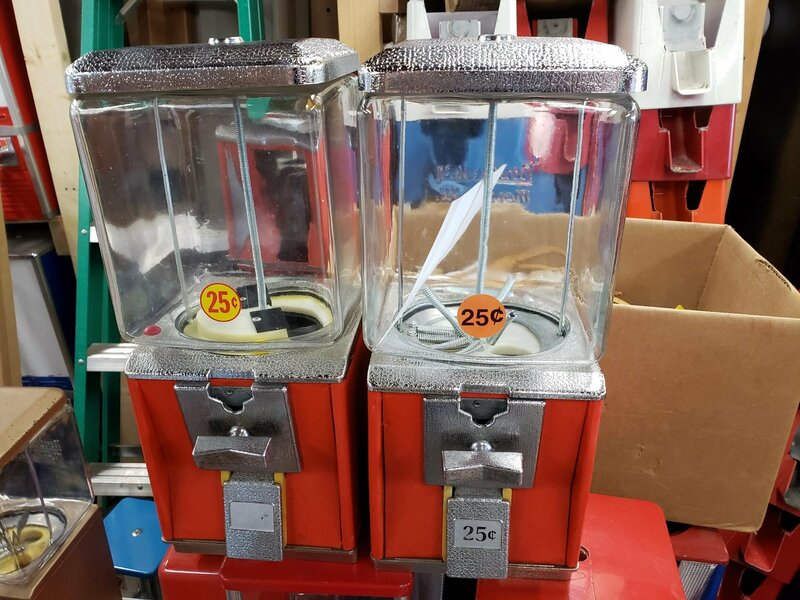 Over the years I have acquired some of these machines when buying routes. They were actually pretty dependable but were rough and the plastic globes always (as mentioned above) looked terrible so I eventually replaced them. Those glass globes appear to be Northwestern. We went to our first NbVA convention in I think 1998 in Orlando & Gabriel vending brought a semi truck loaded with Ashland machine's to sell at show, they built the machines. Their semi trailer had a pictures of Ashland machine's painted or wrapped on trailer it looked good.